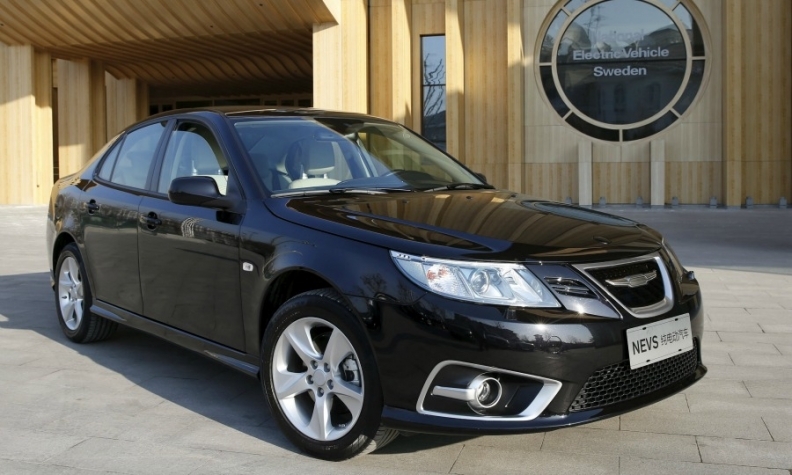 NEVS hopes to deliver 20,000 EVs based on Saab's 9-3 sedan to Volinco. STOCKHOLM (Reuters) -- National Electric Vehicle Sweden, the company that bought bankrupt Swedish carmaker Saab, said on Tuesday it had signed a framework deal worth about 8.5 billion crowns ($996 million) with China Volant Industry Co. (Volinco) for 20,000 electric cars. NEVS spokesman Mikael Ostlund said a firm order for its electric car based on Saab's 9-3 sedan model would be signed later and that the company planned to deliver the cars between 2017 and 2020. Volinco planned to use the vehicles as company cars for employees, Ostlund said. "The cooperation agreement means we will get an order but the final purchase agreement is not signed yet," Ostlund said. NEVS, which bought the assets of 70-year-old Saab in 2012 with the aim of transforming it into a leading electric carmaker, announced its first major deal in December - a $12 billion order from a Chinese leasing company. Saab AB, the aerospace and defense firm from which Saab Automobile was created in 1947, withdrew NEVS’ right to use the Saab brand name after NEVS applied for creditor protection in 2014. Ostlund declined to confirm whether NEVS had regained the right to use the brand name, and told Automotive News Europe that the company would not discuss the dialogue it has had with Saab AB on the topic. Ostlund said that the new deal would allow NEVS to access Volinco's suppliers. "Volinco is a very large group with many interesting high-tech component suppliers. It is interesting for us to be able to have access to them for our production," he said, adding that NEVS has not yet sourced the components for planned new models. Ostlund said NEVS, which is building a new factory in China due to be fully operational in 2020, would produce and paint the bodies of the cars for Volinco at the old Saab factory in Sweden, and then assemble them in China. Volinco says on its website that China Aerospace Science and Industry Corporation (CASIC) is its holding company.